The demat accounts were introduced in India in 1996 and before that the shares and securities were issued and traded physically. However, the market regulator SEBI came with the rule that every trader or investor needs to have a Demat account to park the shares irrespective of motive whether one has purchased them for trading or long-term investment purpose. Hence since then having a Demat account has been made mandatory for everyone whoever wants to trade or invest in the share market. The account opening of Demat can be done by either CDSL or NSDL,and no other institute is allowed to have a demat account with. But with the introduction of demat account, the securities can now be held electronically with demat accounts. The demat account makes the entire process of investing, monitoring, holding, and trade convenient, fast, and cost-effective. It helps in easy share transfer. The investors can transfer their securities through the delivery instruction slip or receipt instruction slip for selling or buying the shares. With these slips, the users offer detailed required for executing the transaction easily. The demat account holders provide instructions to the Depository participant for converting the physical certificates into electronic form. If required, one can also convert electronic securities into the physical form. There are several lenders that offer loan against securities which are held in the demat account of the borrowers. The holdings are used as collaterals for availing loan by the account holders. The demat account holder can freeze their account for a specificperiod of time if needed. It can be helpful in preventing unnecessary debit and credit from the demat account. The freezing facility is available for the specific amount of securities as well. 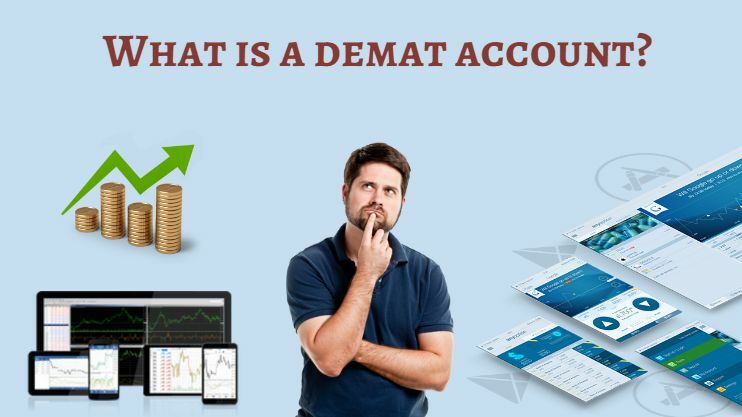 The demat account is operated electronically which makes it easy to access from multiple modes such as a computer, Smartphone, or tablets. The operations are done electronically which makes them convenient and time-saving. When the companies offer refunds, interest or dividends to the investors, they are automatically credited in the demat account of the investor. Apart from that, the bonus issues, right shares and stock split are also updated in the demat account of the investor. The demat accounts have lower risk as the physical securities have a risk of theft, damage, and loss. These risks can be overcome with the help ofdemat account which allows the investors to hold a security in electronic form. Maintaining the physical certificates and keeping a track on their performance is a tedious job. However, the demat account holders can make it convenient with a single account. The physical certificates allowed buying and selling in limited quantity. However, the demat account eliminates the issue. One can now deal with odd lots or single security. The physical certificates came up with extra expense such as stamp duty and handling charges which can be eliminatedwith the help ofdemat accounts. The demat accounts are fuss-free, lucrative, and easy to handle.